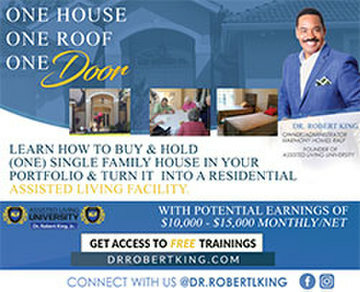 Are you ready to SKYROCKET your connections in the real estate investment area? If so, join us for one special day in Las Vegas as we connect, learn, network and get in the right mind-frame to grow our portfolio in 2017. 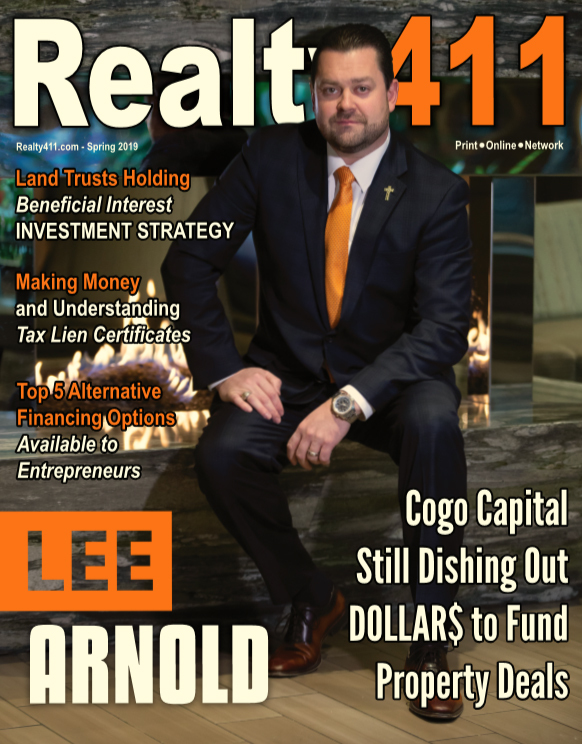 Since 2007, Realty411 has been providing investors the resources they need to be successful in growing their wealth through real estate, don’t miss the opportunity to learn from some of the most successful investors in our niche at the only complimentary real estate expo in the nation. EARLY-BIRD REGISTRATION STARTS AT 8 AM!!! GET THERE EARLY – OUR EARLY-BIRD GUESTS WILL RECEIVE A TICKET FOR OUR COFFEE BREAKFAST MIXER! HOSTED BY LAS VEGAS REAL ESTATE INSIDER CLUB, AND LAS VEGAS INVESTMENT CLUB – JOIN US AND LEARN FROM TOP INVESTORS. 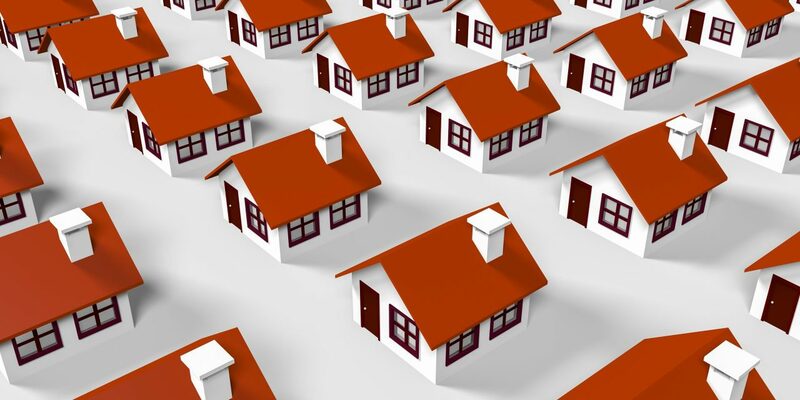 >> Learn what the Best Kept Secret in Real Estate Is…. and it’s not a house! >> Discover How Armando Montelongo Became the #1 Real Estate Investor in the Country and Why He is Starring in His New Show FLIPPING NIGHTMARES – Armando is also the 2nd most successful Hispanic in real estate in the nation, according to Inc Magazine! COMPLIMENTARY NETWORKING COFFEE MIXER! NETWORK WITH EXHIBITORS, COMPANIES, REAL ESTATE GROUPS, CLUBS, AND SERVICE PROFESSIONALS – THIS IS THE PLACE TO BE! 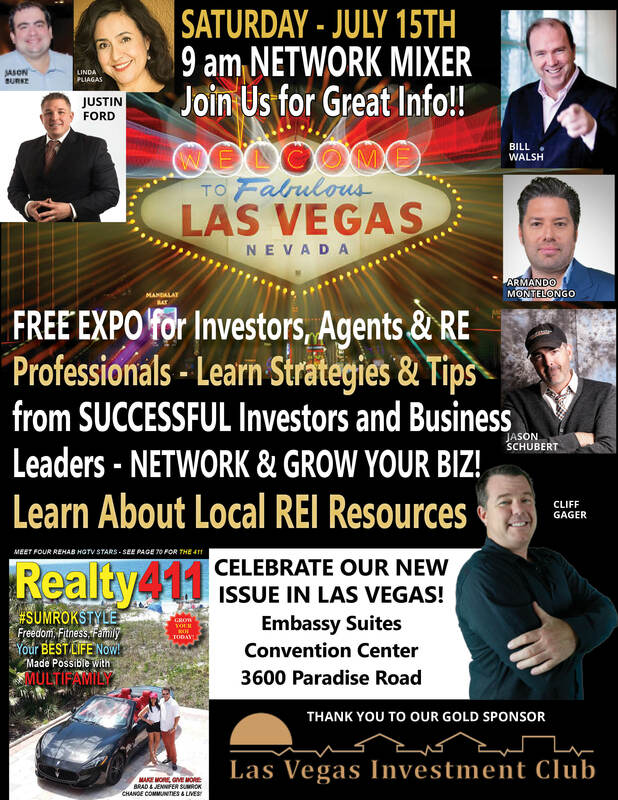 Come celebrate the only national real estate investment publication, expo and network founded and based in California! We have investors joining us from many states! Also, Inside Our Publications Discover Finance Leaders. Our VIP Advertisers in the Finance Industry Include: Ignite Funding, Civic Financial Services, New American Finance, Pacific Private Money, Zinc Financial, B2R Finance, and Security National Mortgage among others! 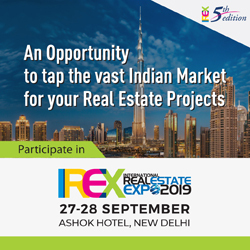 No matter what, please mark your calendar so you don’t miss out on this fantastic real estate and finance expo. Our goal is to provide fantastic resources to help you learn about real estate or grow as an investor. We know your time is valuable, so we have wonderful books, magazines, and other gifts to give away.Start the year off right with spectacular networking!!! Build NEW friendships and business collaborations with some of the industry’s TOP Leaders. Plus, guests will discover new resources to FUND deals. Joining us are incredible speakers, sophisticated investors, & VIP Industry Leaders. Lima One Capital is the nation’s premier lender for residential real estate investors. Our mission is to make it easy for you to finance all of your investment projects including fix and flips, rental purchases and refinance, portfolios, new construction, cash-outs and more. Why are we one of the fastest growing national REI lenders in the nation? 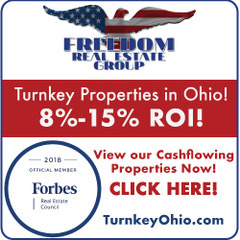 Because our rates and terms are very competitive and transparent with no hidden costs or junk fees, we are a fully funded direct lender that services our own loans, and we have built a winning culture of honor, discipline, and world class customer service. Jon Jones is a world class speaker, trainer, and business coach. His background includes peak performance coaching with Anthony Robbins, consulting small business owners, and motivational speaking. Today, Jon is the Head of Business Development for Lima One Capital specializing in residential REI loan programs. Jon has presented to hundreds of business organizations and companies across the country on the topics of increasing sales, marketing, business development, and wealth building strategies. You will find Jon Jones to be a powerful resource and a sincere friend as you pursue your REI goals here in Las Vegas. Since 1985 Bill Gatten has made a major impact on the Creative Real Estate Financing Profession by way of the propriety real property transfer system known as the ODWM Equity Holding Transfer™ (EHTransfer™), This remarkable system virtually eliminates one’s legal exposure and the negative impact of governmental restrictions and prohibitions regarding Creative Real Estate Acquisition and Financing. By practicing what he teaches and preaches, Bill has firmly established himself as a true pioneer and authority in the business of legal, safe and highly protective owner-carry real estate acquisition and financing…via the use of the unique system (the EHTransfer™) which avoids the necessity of standard down payment, credit qualifying and the ancillary expense of closing costs. At the core of the EHTransfer™ is a 500-year-old trust model—‘the early British title-holding land trust (‘popularized in the US as the Title-Holding) Land) Trust). Features which form the EHTransfer™ system include: a Transfer of Beneficial Interest, a Co-Beneficiary Agreement; a limited and revocable Power of Attorney, a Triple-Net Use Agreement; Bulk-sale escrow instructions, Certification of Trustee; Notice of Uninsured Deed…and others. For over thirty years Bill Gatten has trained thousands I and made millionaires n the use of the versatile, safe and highly protective Open Door Wealth Management ©EHTransfer System™. PLUS, LEARN STRATEGIES FROM CLIFF GAGER – A VETERAN CALIFORNIA INVESTOR! After watching many of these “house flipping” investors make money doing these deals, Cliff saw the clear potential for profitability, jumped in with both feet, and started to buy, fix, and sell houses, all the while continuing to perform in his already existing position as a residential lender and mortgage broker. Beginning around September of 1997, while working through some difficult times, Cliff began working in the real estate seminar industry for many of the late night TV “infomercial” gurus you likely know today! In 2010 Cliff started working independently with students of his own, and is now bringing his training directly to the people that need it the most. Cliff teaches real world strategies that work in the real market. Jason has done it all from purchasing multiple houses a year using subject to and lease options, to rehabbing multiple houses a month. Jason has built homes, a national real estate speaker, an entrepreneur, a commercial real estate mentor and coach, a hotelier, and a master of buying properties with none of your own money and deal structuring. DISCOVER THE WORLD OF PRIVATE FINANCE AND ALWAYS HAVE MONEY FOR YOUR DEALS RIGHT HERE!